Purchase wheelchair vans through our web-based sales program and have our showroom brought to you in Alexandria, Louisiana! When you work online and by phone with a mobility consultant, we'll find and put the finishing touches on a handicap van perfect for your lifestyle while working around your schedule to create a personal sales experience. 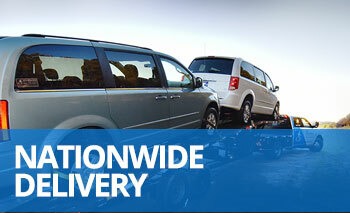 Once everything is all set, we can deliver your handicapped van to anywhere in the Alexandria, LA area. Choose to have a mobility professional drive a truck and haul your wheelchair van on a flatbed trailer, direct to your home or office in Alexandria, Louisiana. Rather than have your handicap van delivered, save money on delivery fees by coming to our headquarters in Atlanta, GA to pick up your adapted van personally. Customers who travel to us from Alexandria, Louisiana normally qualify for a pick-up discount off the purchase price. New and used wheelchair vans have more equipment than a regular minivan, so we provide our signature "White Glove Service" with every delivery and pick-up to help you get to know your specific adapted van before you drive it. 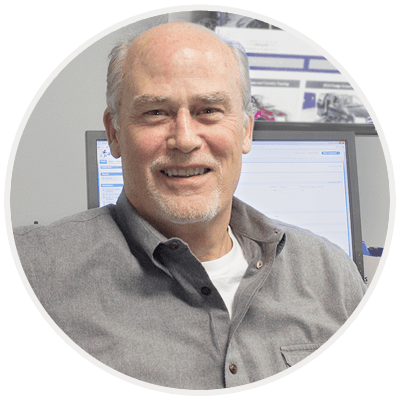 A mobility professional will show you the safety features, demonstrate how to operate the accessible and factory features of your specific handicap van, and answer any questions you have. While we stand behind the quality of our handicap vans, you have the option to refuse the sale at the time of delivery. If, for any reason at all, you aren't totally happy with your purchase upon delivery, we'll bring the handicapped van back to our office, end the sale, and send a refund of your payment. Also, if you like, we'll meet you at any mechanic in the Alexandria, LA area and wait while they do a check-up on the accessible van before you make a final commitment. More often than not, customers save ten thousand dollars or more, just for buying one of our high-quality, low-cost handicap vans. All of our newly modified wheelchair van conversions by AMS Vans are backed by our low price guarantee to assure you're getting some of the highest quality possible at the lowest price. Call us at 800-775-VANS (8267) to find out more about the options we have available. We'll apply your unique accessibility needs to a search of our inventory and present several suitable handicap vans for sale to you. Just tell us which one you'd like to purchase, and we'll take it from there while you relax in Alexandria, Louisiana. We're thrilled to have the opportunity to bring so many people across the United States affordable accessible transportation, and we can't wait to deliver a new or used wheelchair van to you in Alexandria, LA sometime soon!